The Burgundy truffle has a dark rough skin with large, diamond-shaped points, and light coffee-colored flesh veined with white. Burgundy truffles have a delicate, hazelnut-like aroma; they are not robustly flavored like the black winter truffle. Foraged in France and Italy. Please note: Our mushroom department makes a small cut in each Burgundy truffle as they are received. This confirms that the truffle is actually uncinatum and is a normal quality check. Because truffles are natural products foraged in the earth, quality and flavor will vary. We select truffles with great care based on visual and olfactory inspection, but cannot taste each truffle. Please see the cooking and serving tab for tips on proper truffle storage. Storing/Serving Tips: Once a fresh truffle is out of the ground, it doesn't keep long. To best preserve your truffle, wrap it in a paper towel, put in an airtight plastic container and set in the refrigerator. Do not clean the truffle until you are ready to use it. To clean it, gently remove any dirt that remains with a soft brush, then use the tip of a paring knife to loosen any pockets of dirt in the crevices, then lightly brush again. Avoid condensation and humidity. If you wish, store the truffle with eggs in the refrigerator to impart its flavor into the eggs. Be sure the shells are perfectly dry. Do not store in dry rice, as the rice dehydrates the truffle. 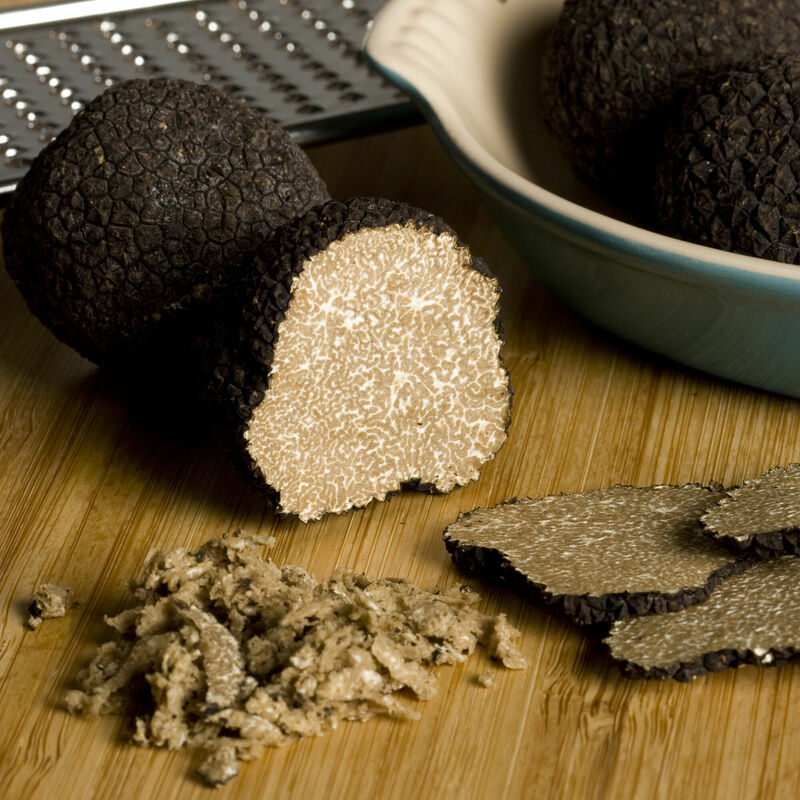 With a lighter flavor than other truffles, the Burgundy truffle is best enjoyed fresh and grated or shaved over pasta, eggs, mashed potatoes, risotto and other rice dishes. Finish a butter sauce with a few shavings before spooning it over a seared steak or duck breast. The heat from the cooked food is enough to release the mild truffle flavor.